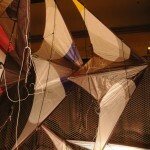 Arriving early in the morning on Monday, Takako and I took the opportunity to explore some of Las Vegas before meeting up with Ben D’Antonio, Joe and Dave Hadzicki later in the evening for our drive to the site of the 2010 KTAI trade show in Primm, about 40 minutes west of Las Vegas. 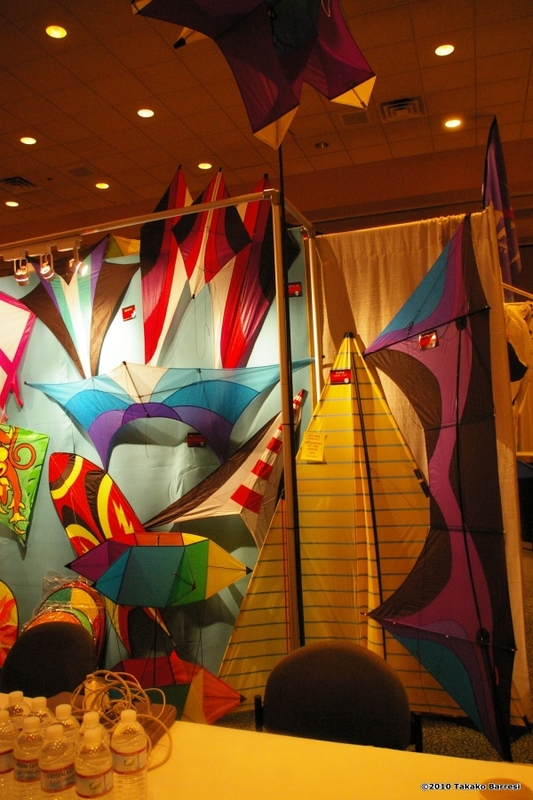 Primarily dedicated to exhibitor set up, various manufacturers and distributor spent the majority of the day setting up booths and product displays. 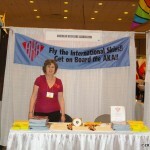 Get some insider “Tips & Tricks” to attending the Trade Show and Convention. 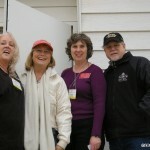 This fun, informal gathering of networking and socializing has a purpose! 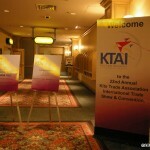 This is a great opportunity for first time attendees to meet KTAI members before all the formal activity begins. 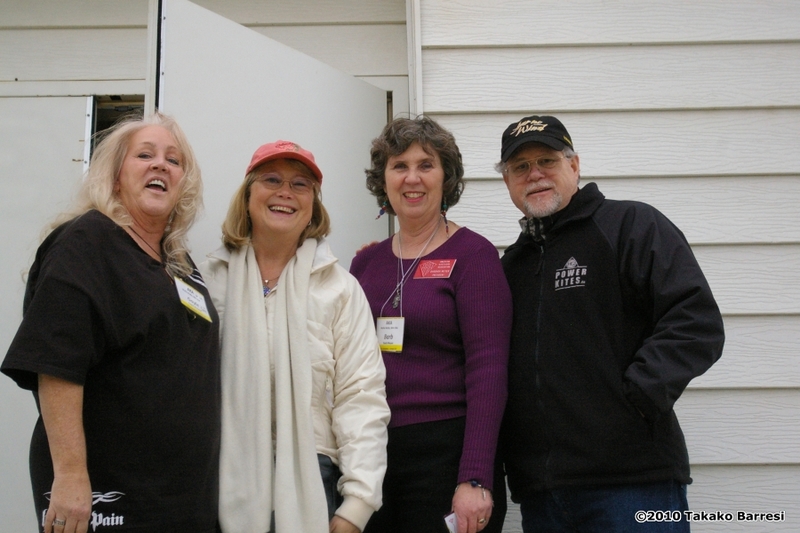 In this informal session you’ll get useful information (Where are the bathrooms? 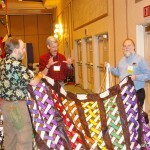 Am I allowed to bring food into the workshops? 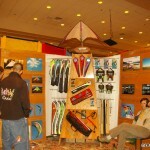 How do I get the best value out of the Trade Show) and make a few new friends! 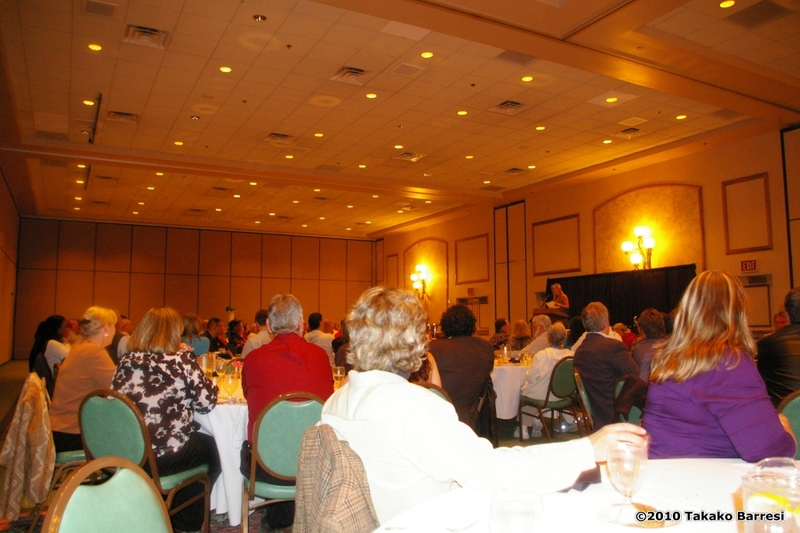 So bring your questions and join us! 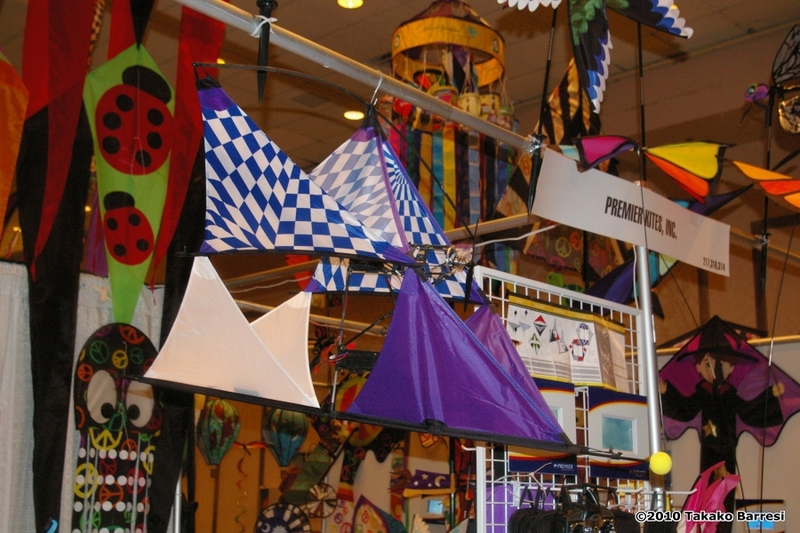 You know what to say when you’re selling a kite to a customer, or promoting your business in the community. 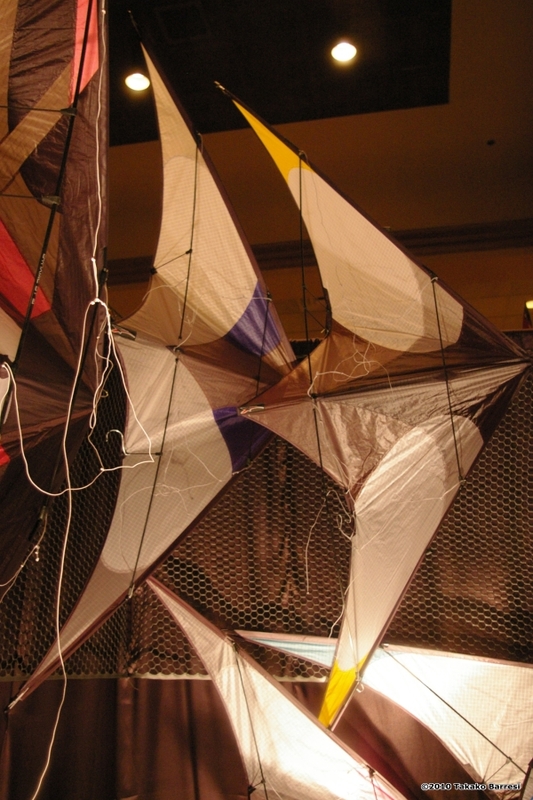 But does something get lost in translation when you put words on paper? 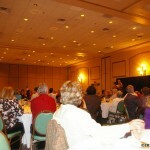 Are you using writing most effectively to grow your business? 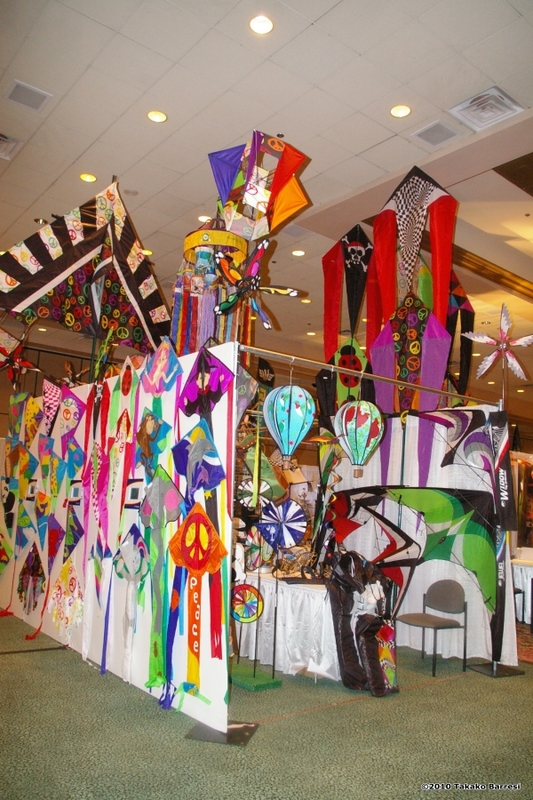 From press releases to brochures to in-store communication, this fun, interactive workshop will explore ways to use the written word to increase your bottom line! 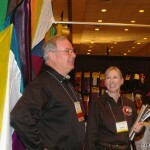 You are encouraged to bring samples of your promotional materials for feedback and/or to share best practices. 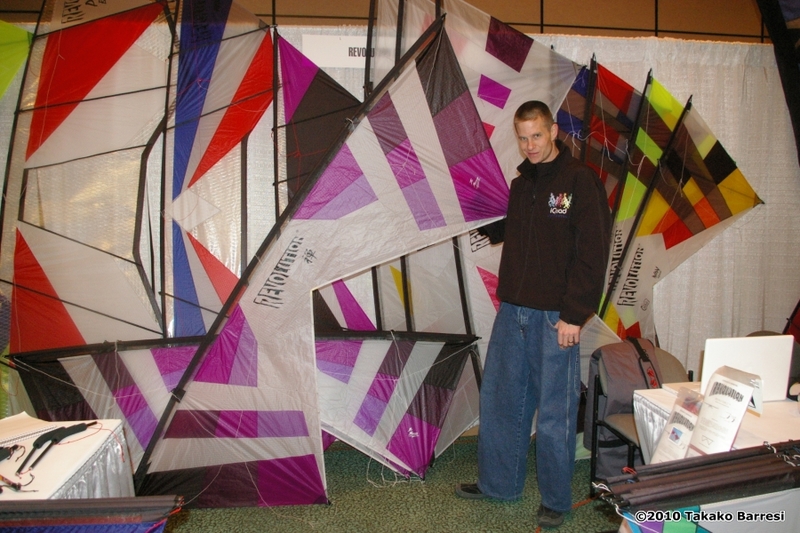 Although the workshops and booth set up took most of the day, there were also product demonstrations being held outside the convention center and each kite exhibitor was solicited for one kite that they wanted volunteer demonstrators to use in their interactions with retailers… Steve and Carrie from Second Wind worked with John Barresi to introduce retailers to the genre of their choice, be it single, dual or quad line. 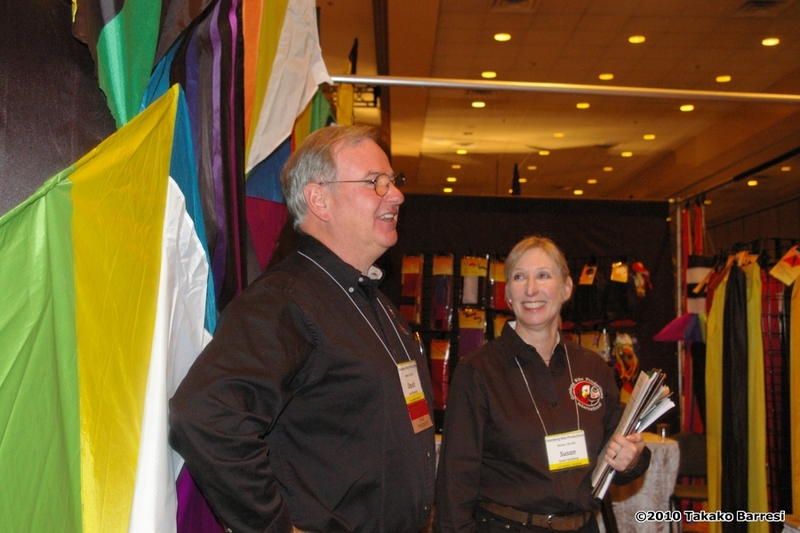 In the evening, all trade show attendees gathered for the Opening Reception to mingle with friends new and old before the official start of the 2010 trade show. 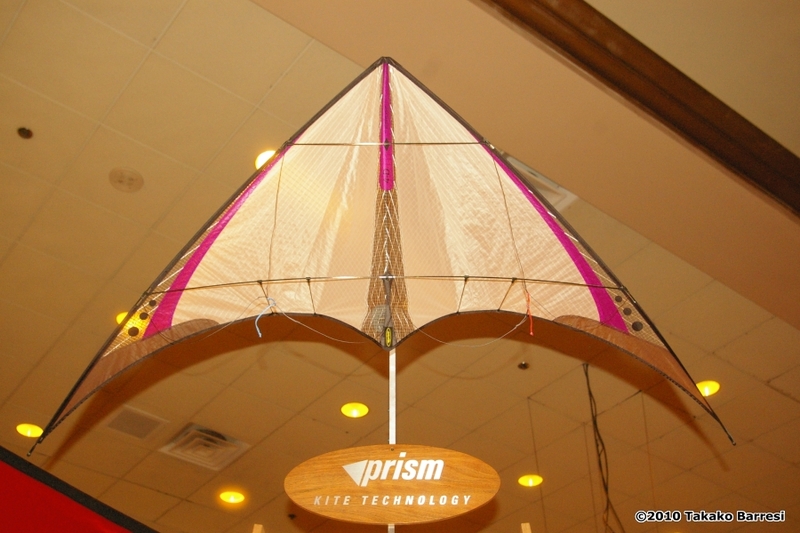 The second day of this eventkicked off with a Town Hall “Meeting of the Minds” to discuss the tough economic times that are affecting everyone, and most certainly those in the kiting industry… Moderated by the board of directors, this was an open floor for KTAI members to submit their ideas and experiences, as well as to provide input as to the direction of the association in years to come. 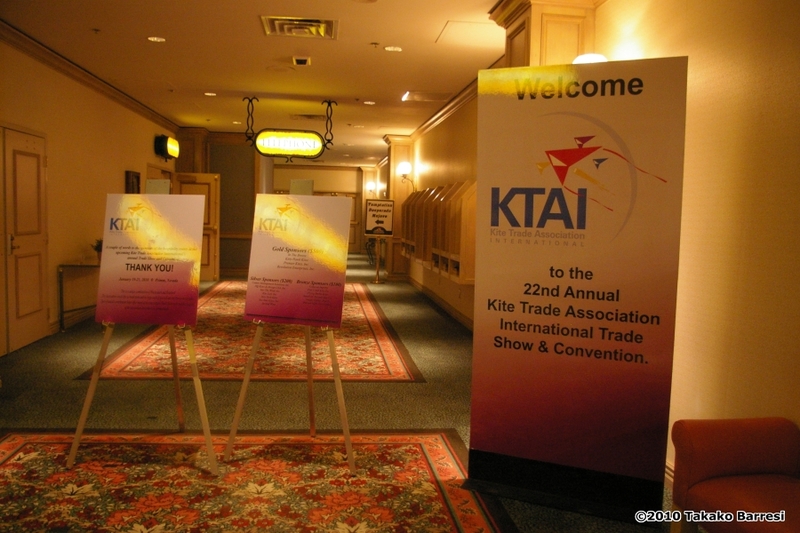 Some of the topics were recurring from previous years including the idea of co-locating with another association’s trade show, as well as observances of the KTAI’s financial status (difficult but holding), membership (2 more than last year), number of exhibitors (25 companies – up from 19 companies last year), retailer attendance (45 companies w/95 representatives) and the upcoming change in leadership with two directors stepping down for 2010 (Mike Hale and John Barresi). 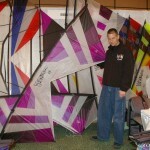 Also in the running but missing by a narrow margin were Kent Kingston and Christoph Fokken. 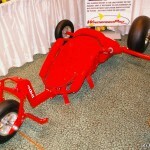 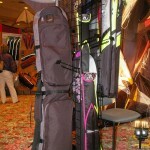 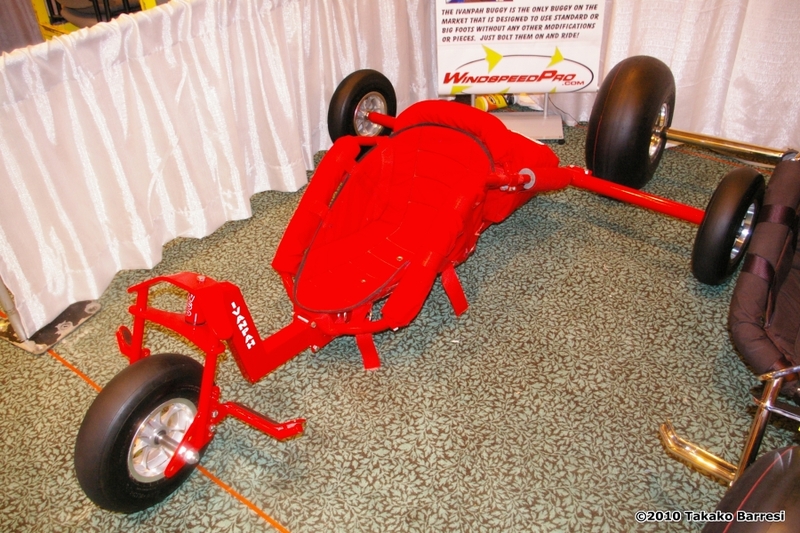 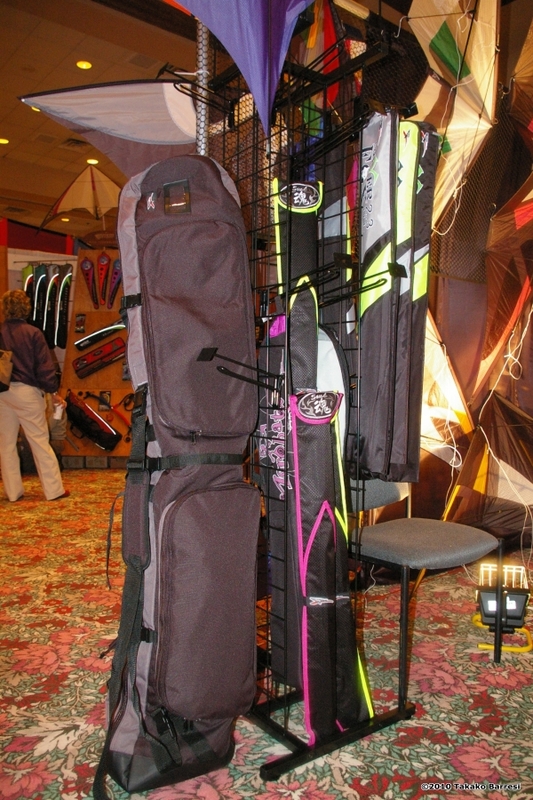 After our meeting, the trade show floor opened up for retailers to start browsing this years offerings for products that would work in their respective stores… Looking back on the past 2-3 years, I was encouraged to see a wider variety of new designs on display in all genres, single, dual and quad line. 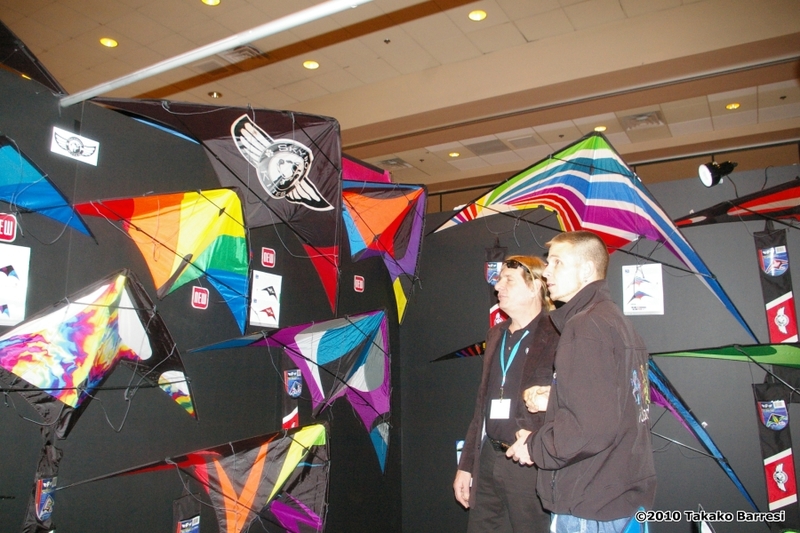 If you see anything you’re interested in amongst these photos above, be sure to contact one of the fine Kitelife sponsors listed on our links page. 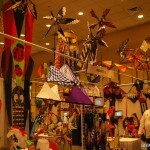 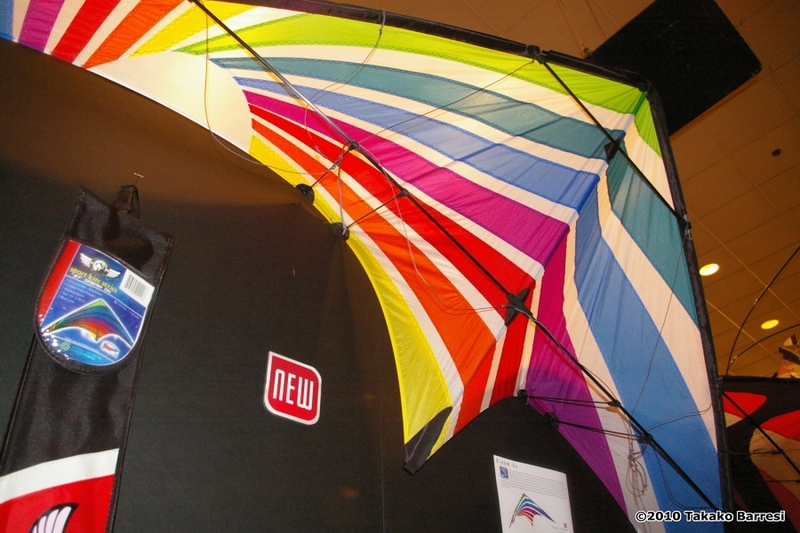 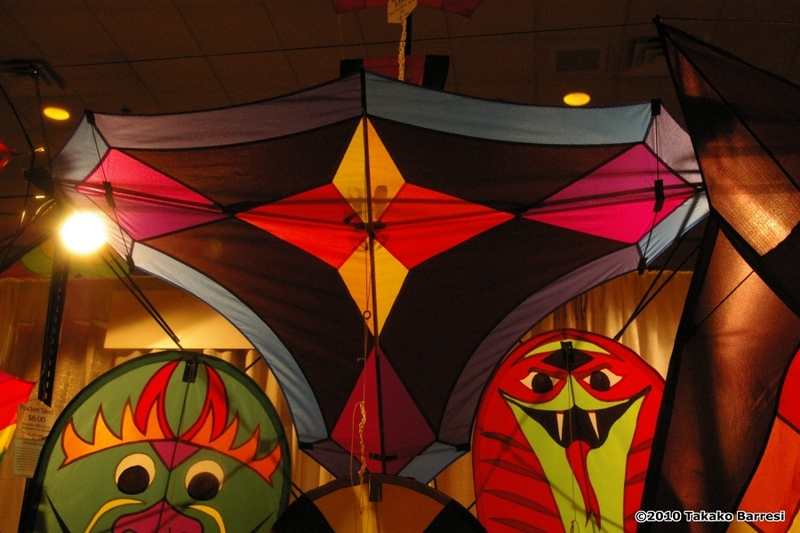 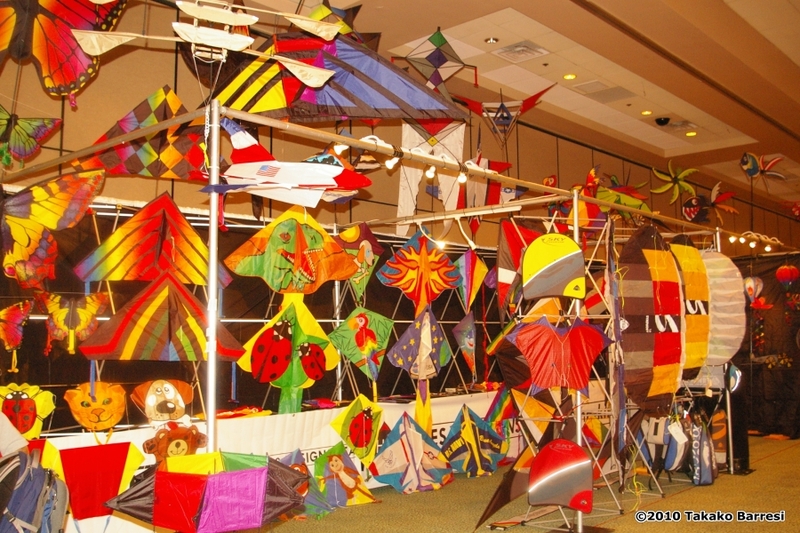 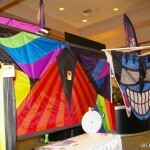 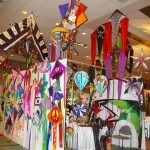 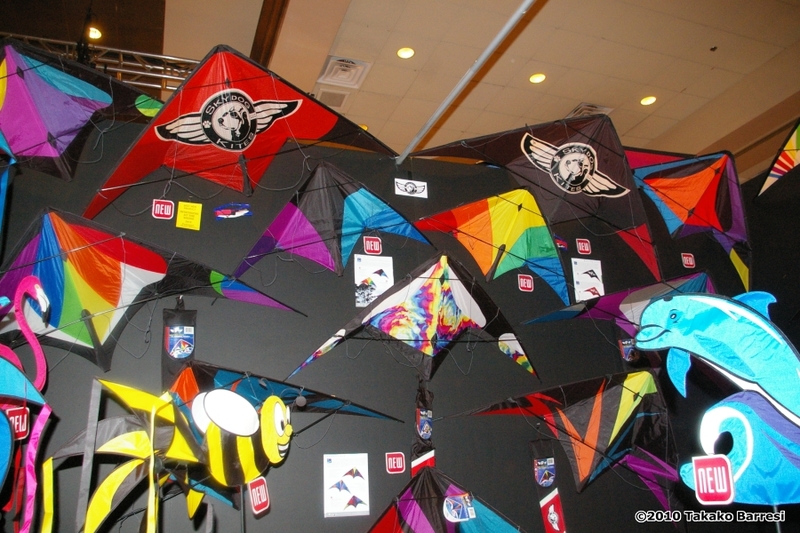 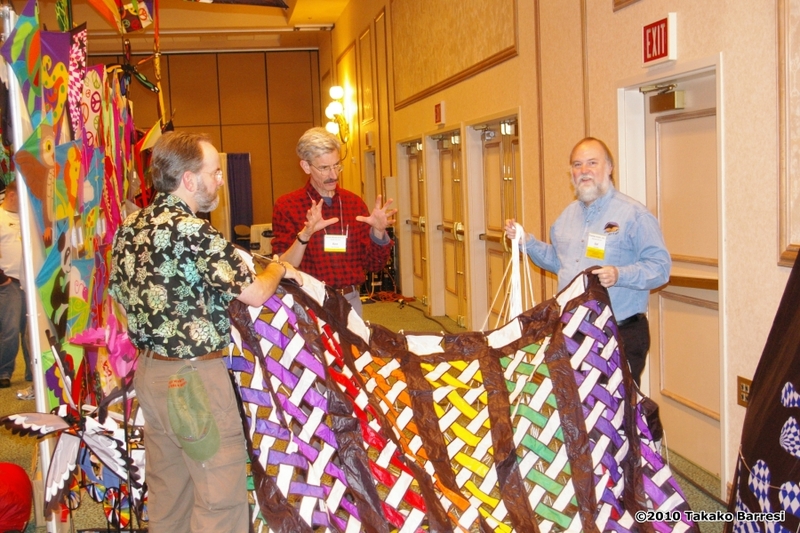 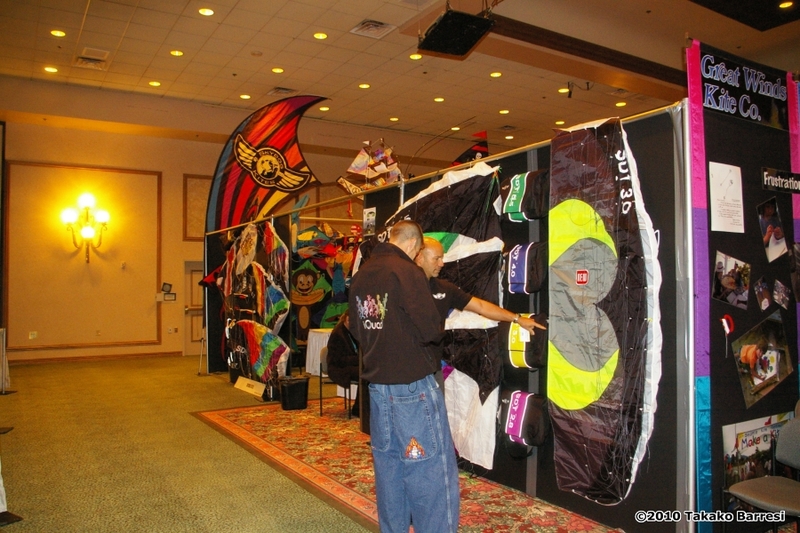 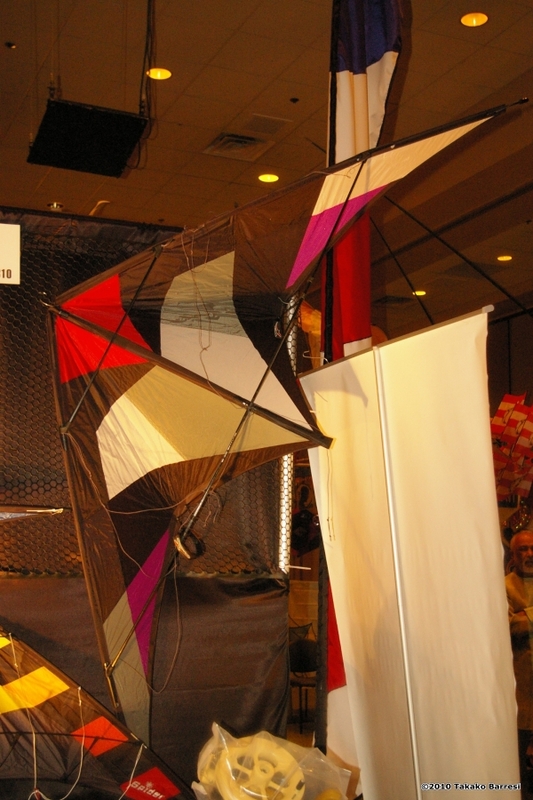 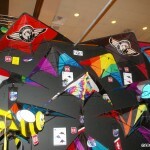 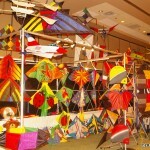 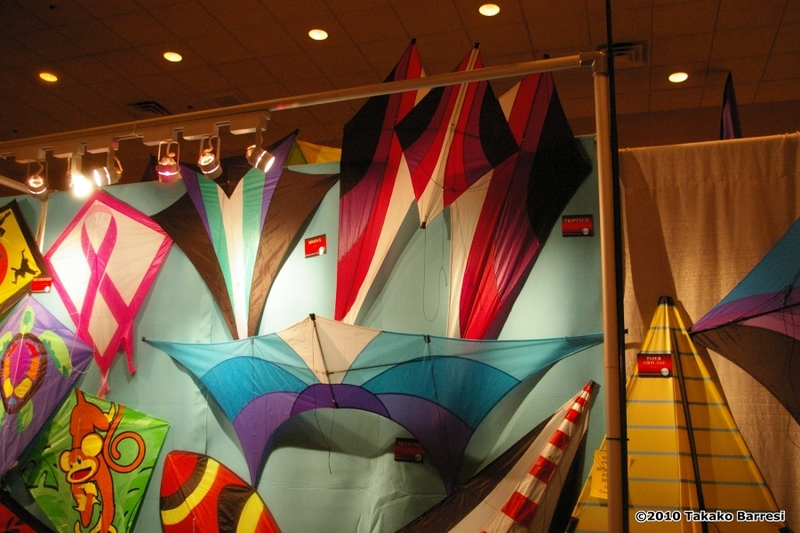 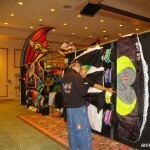 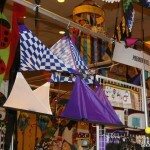 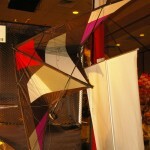 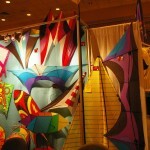 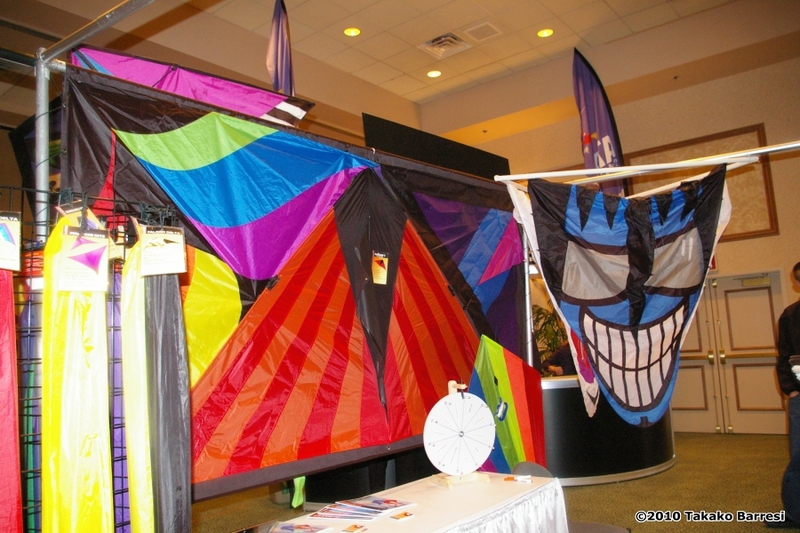 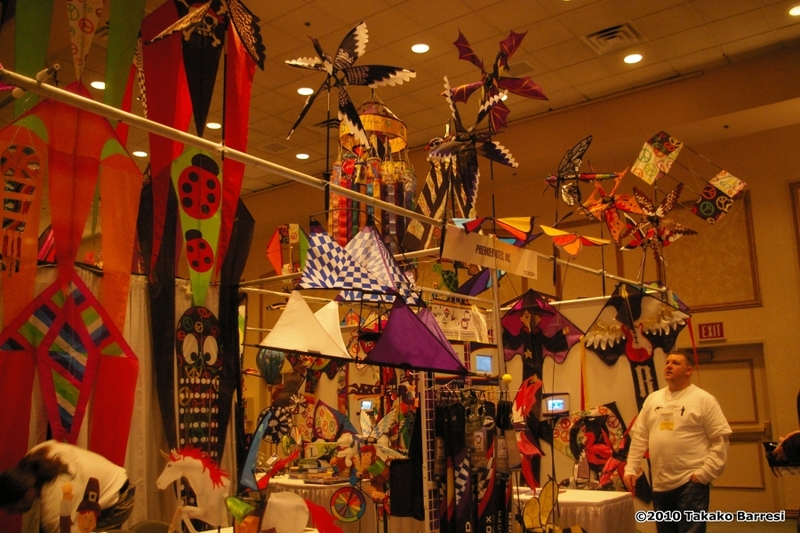 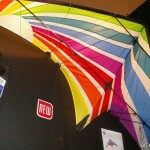 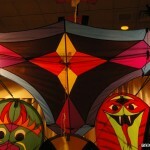 The last official day of the trade show kicked off with a retail exchange where participants discussed products that were doing well in their respective stores… This had been an open topic in years past, whereas this year the two hour exchange was split half and half between kites and other items often seen in brick and mortar kite stores around the country. 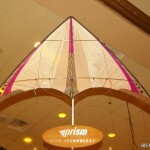 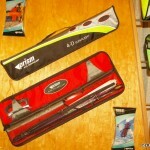 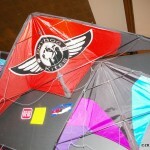 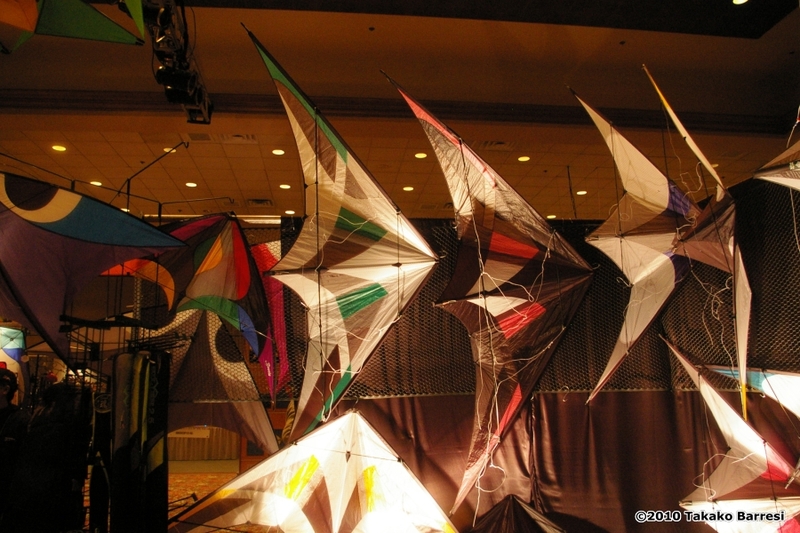 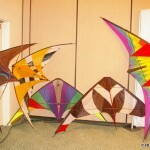 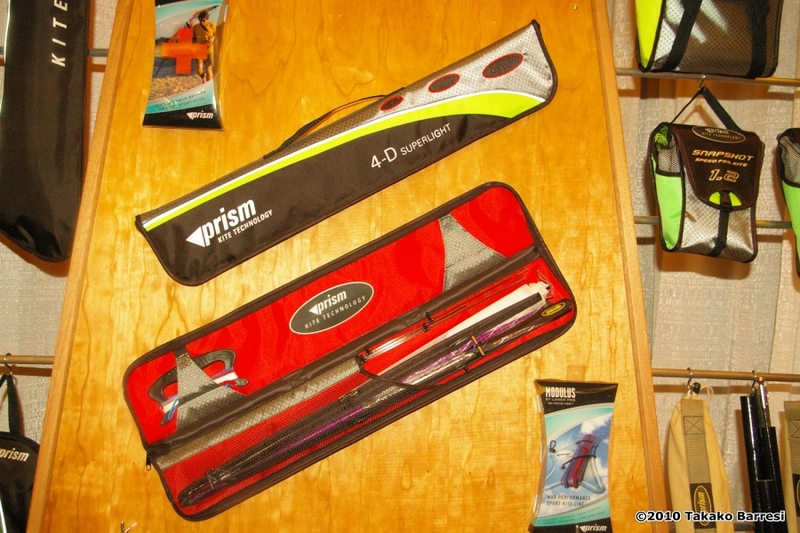 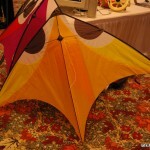 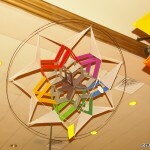 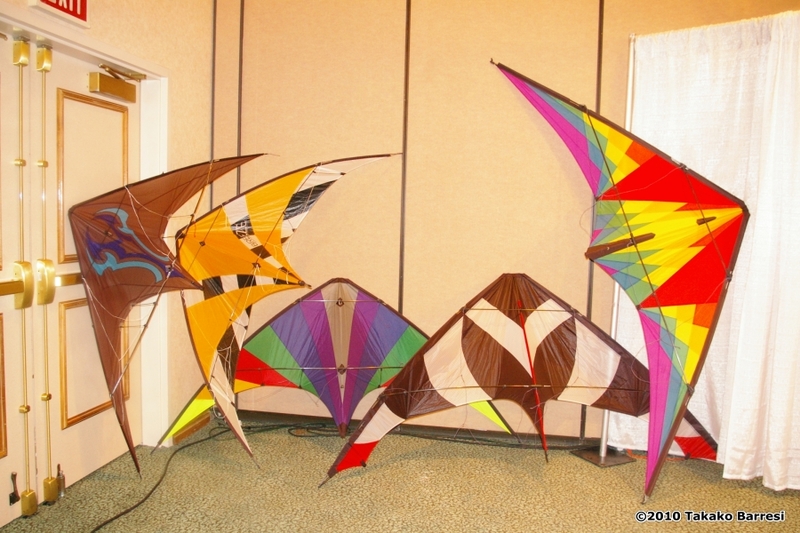 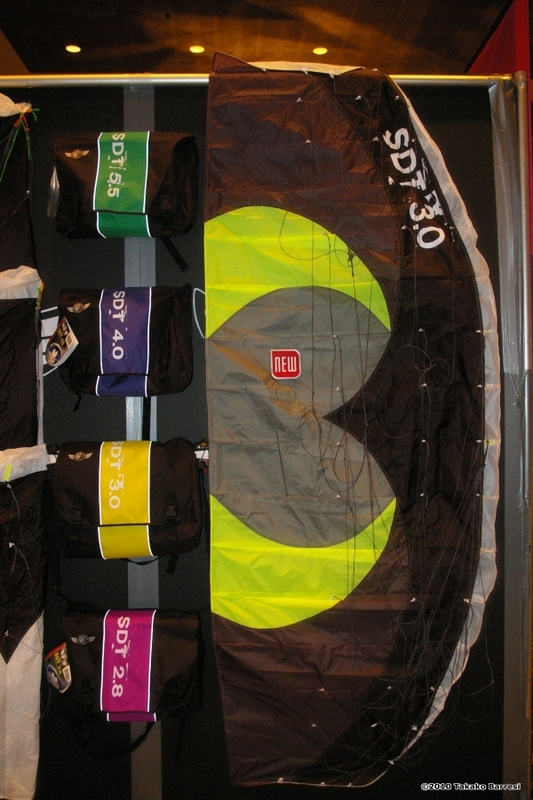 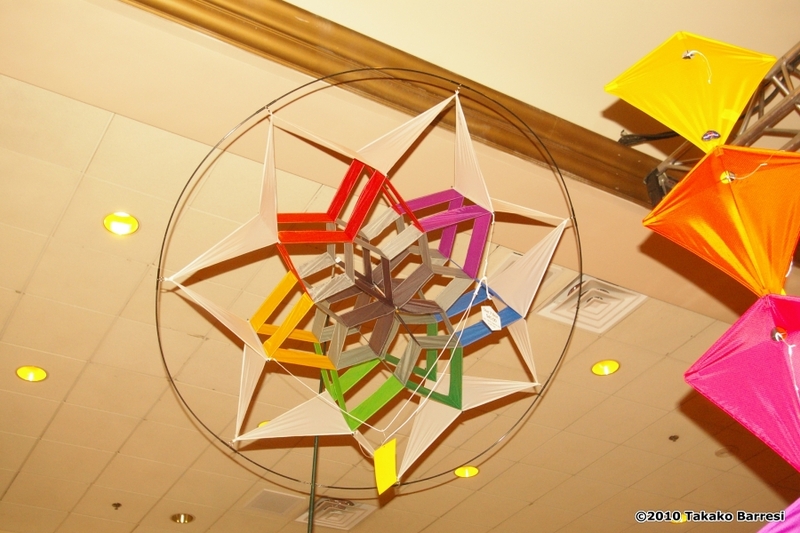 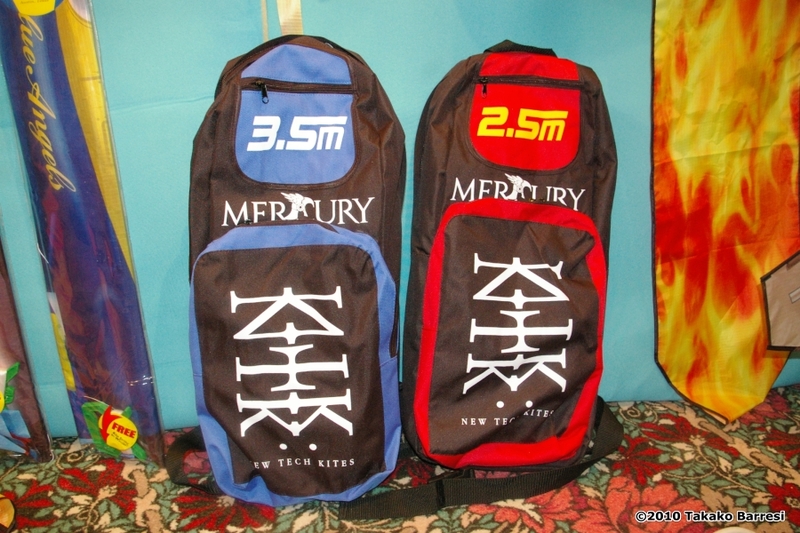 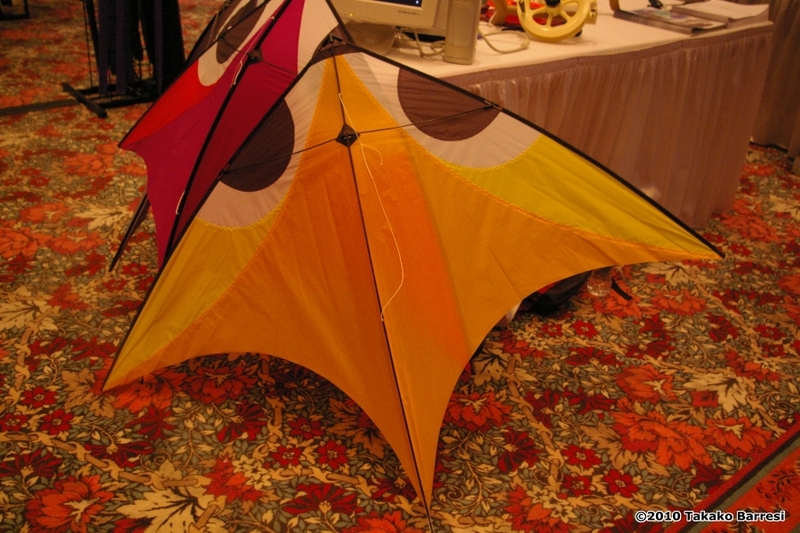 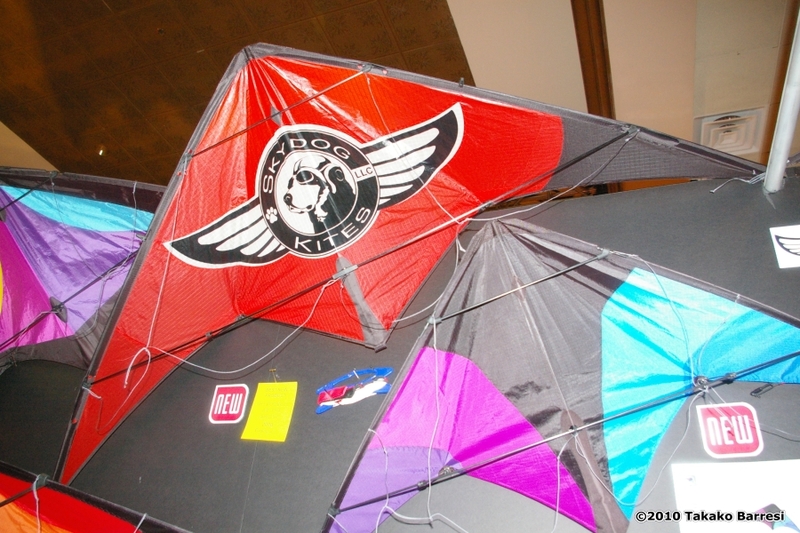 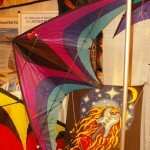 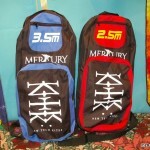 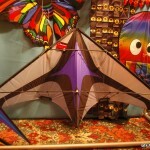 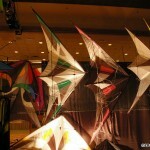 Interestingly, the first hour which was dedicated to kite products actually ended up being composed heavily of discussion about kite-related items like windwheels, spinners, windsocks, “easy flier” type single line kites, visually appealing kites like Prism’s EO6 and Flip, as well as tails, lines and bags… One key fact that came out of this discussion was that an average walk-in customer starts into sport kites at around $29.99 and very rarely spends more than $150. 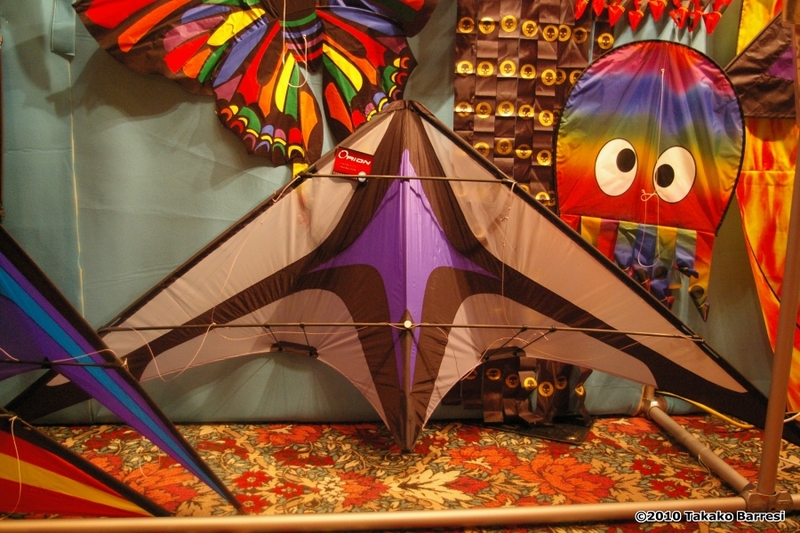 In the non-kite area, some of the popular items mentioned included rubber band guns, Arrowcopters, games, puzzles and magic tricks… While I may have been quick to judge some kite stores in the past for their heavy lean towards items like these, a few years of attending the KTAI has made it abundantly clear that they have truly shifted to survive in this economy and major changes in tourist flow… Most of the brick and mortar shops who haven’t evolved along this vein have not survived, putting the proof in the pudding. 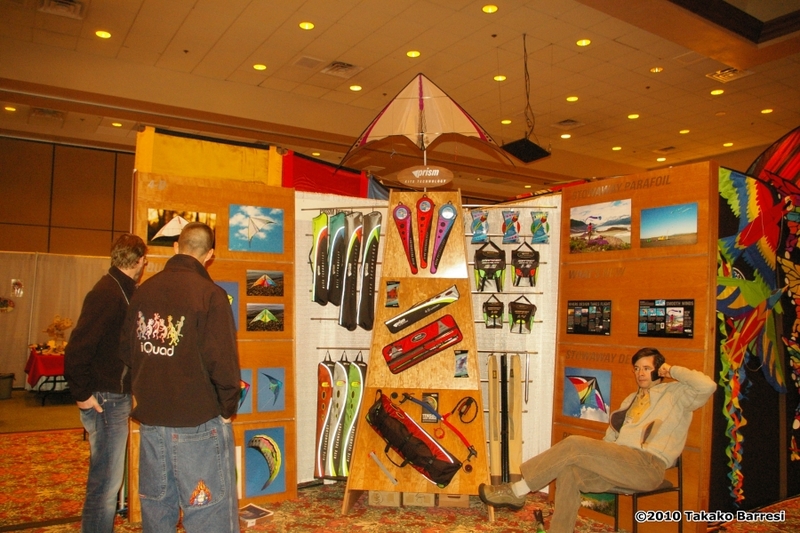 Having spent the previous day exploring the various products and show specials, attendees took to the floor and started to place the majority of their orders… The last day is always exceptionally busy as folks try to get a good deal and stock their stores for the first part of the year. 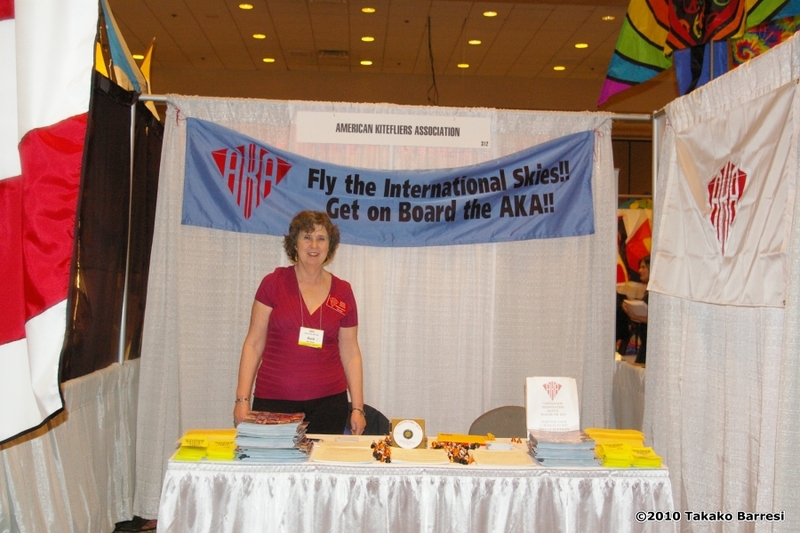 I’d like to give special recognition to Maggie Vohs and Maianne Eichler from Cameo Management for their incredible efforts in organizing this trade show every year – I’ve had the pleasure of personally observing Maggie and her team organize several KTAI trade shows and fifteen AKA conventions against all sorts of adversity, handling it with exceptional professionalism every time… I’m here to tell you, I don’t believe anyone could do it better, they have my utmost respect. 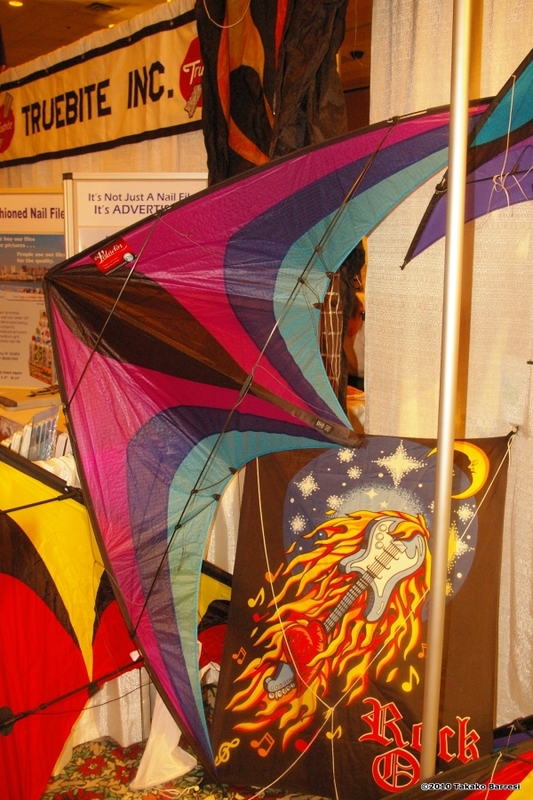 In closing, I’d want to express my ongoing appreciation for the KTAI’s existence as they represent the kiting industry at large, and are doing their part to help keep a cohesive and functional group of businesses as opposed to them being divided without consistent lines of communication and idea exchange… If you’re a kite business owner and haven’t been a member of KTAI or haven’t renewed your membership in a while, now may be the time. 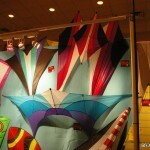 This entry was posted in 2010, Dual Line, Indoor, Innovative, Issue 70 (Jan/Feb), KL Archive, New Kites, Quad Line, Single Line and tagged industry, KTAI, store.